Foo Take 2: Is There a Potential 2015 Foo Fighters Stadium Show in the Works? Our logic the first time around was simply following a pattern; the group have been playing a weekly, surprise shows in each city that their HBO show, Foo Fighters Sonic Highways, which airs every Friday, is set in. After watching the band announce shows in Chicago (episode one) and DC (episode two), week three’s Nashville-centric episode seemed to pretty inevitably be on track for a concert, and, since The Ryman was heavily featured and happened to be vacant, we felt pretty sure about our guess. We were right. Now, we’re noticing a new pattern, albeit one not tied as strictly to something set in stone like a TV schedule. Around a week after playing their small Sonic Highways show in Chicago, the Foos announced a huge performance at Chi-town’s 41,000 cap Wrigley Field. Today, a little over a week after DC, the band have revealed that they’ll be playing Washington’s 45,000 cap RFK Stadium. That’s two for two. And, while the dates aren’t lining up to make a full tour (yet), since the latter is July 4 and the former is in late August, it still stands to reason that Nashville might be next in line. Looking at the group’s globally scattered tour schedule, August or September would be the most logical timeframe for a full U.S. tour (and would line up with the Chicago show). This is a bit trickier. Keeping with the pattern, we’d guess maybe LP Field. Could the Foos fill it? If the demand for Ryman tickets is any indication, we’d say possibly. However, LP Field is significantly larger than Wrigley and RFK, and the largest space the band have played in Nashville before is Municipal Auditorium, which seats just shy of 10,000 people (and that was just a few years ago). A safer bet? Bridgestone Arena, which holds 20,000. If this truly is a pattern (and that would be mighty cool of them, to make up for all of the eager fans who didn’t get tickets to the smaller shows), the announcement should come sometime next week. Granted, whether the Foos play Austin this weekend (update: they’re taping Austin City Limits on Friday, so the pattern continues) will tell us a lot about their predictably. Also, if the Nashville announcement does come, and the smaller Sonic Highways shows continue, then larger shows in the remaining markets are almost guaranteed. For now, the best we can do is wait and see. 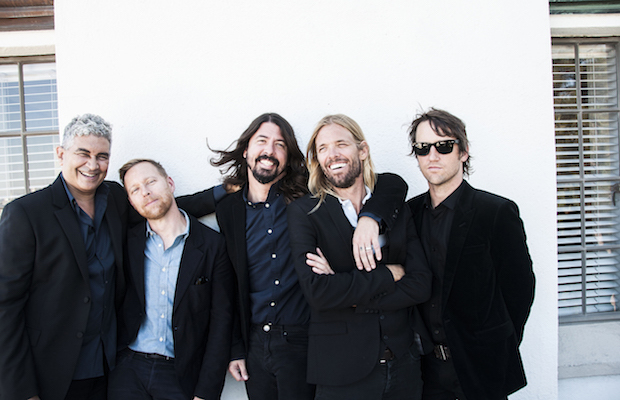 What do you think- will the Foo Fighters return to Nashville next year? Where should they play? Don’t Miss Ratboys, Slingshot Dakota, Looming, & Sinai Vessel | TONIGHT @ Cafe Coco! Is Vandy not a possibility? Was a great be my for U2.